On January 9, 2019, His Holiness Patriarch Mor Ignatius Aphrem II received Their Excellencies: Dr. Nizar Yazigi, Syrian Health Minister, and Mr. Hussein Makhlouf, Syrian Local Administration and Environment Minister, at the Patriarchate Headquarters in Bab Touma, Damascus. Their Excellencies offered to His Holiness warm greetings on the occasion of Christmas and New Year. 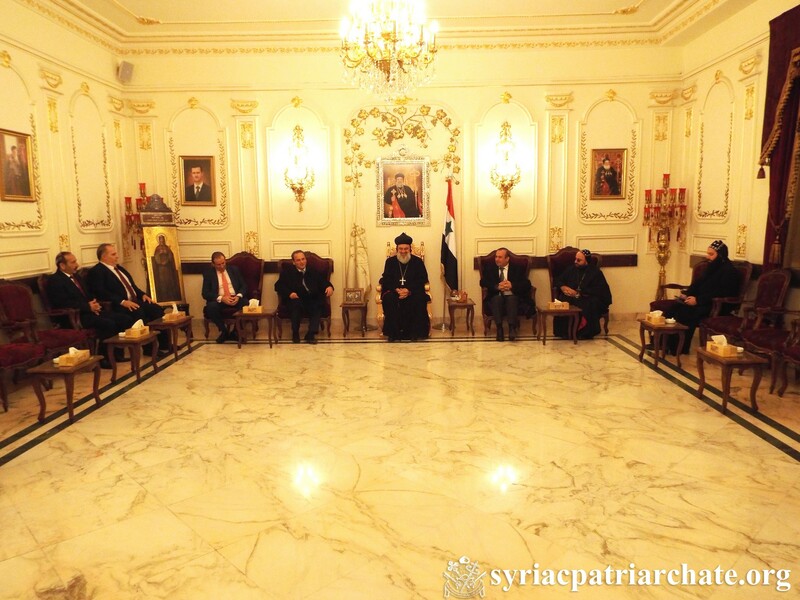 His Holiness also discussed with his guests the general situations in Syria and the region.